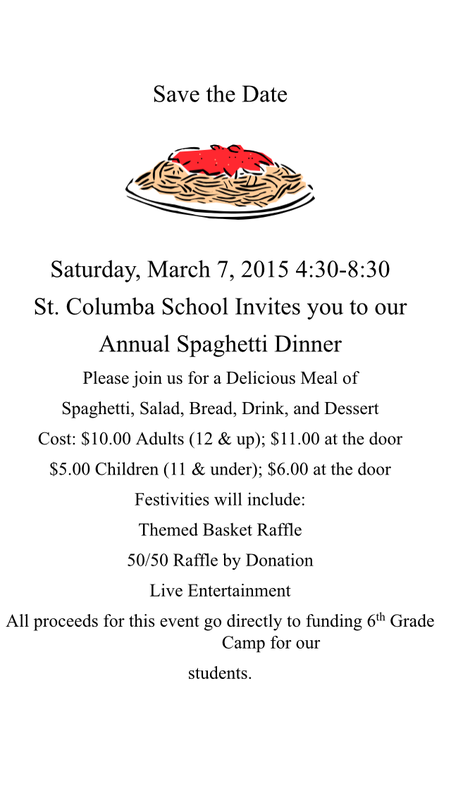 St. Columba School invites you to our Annual Spaghetti Dinner. 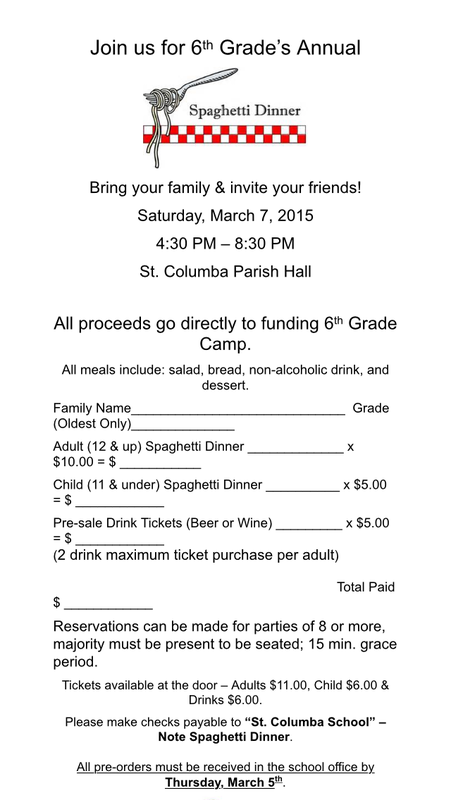 Please join us for a delicious meal of spaghetti, salad, bread, drinks and dessert. Cost: $10 Adults 12 & up; $11 at the door. $5 Children 11 & under; $6 at the door. 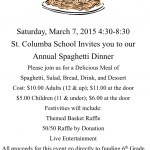 Festivities will include: Themed Basket Raffle, 50/50 Raffle by Donation and Live Entertainment. 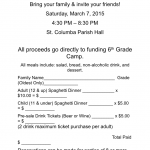 All proceeds go directly to funding the 6th grade students camp.